Sarcastic Quilter: Sew Mama Sew Giveaway Day! I'm in. Sew Mama Sew is at it again! I just made the sign up last week and I'm thrilled I'm not missing my chance to participate this year. I hope my entry is enticing and I do ship internationally. There are 3 different giveaways going on and you can link to them here. My entry is the following quilt. It is currently on the frame and I'm finalizing the quilting so I will update the photos with a finished picture tonight, hopefully. For now, you can take a look at the top. This measures approximately 44"x51". Perfect as a lap quilt for reading on the porch or for a toddler's quilt. This was my participation quilt for the SQ Paper-piece Quilt along that just ended. I was going to call it Sun Over the Pyramid since that was what the hubs named it and it was better than anything I came up with. However, after seeing the news of the tornado in Joplin, MO, I can't call it that. It's much more like a tornado streaking a path and the sun shining on both sides of the devestation. At least to me. So, I'm going to call this The Sun Still Shines. Now really, if you have a name suggestion, and you are the winner, I'll label it with your suggestion. I do not feel my name has to be the one you have to live with since it's not finished yet. First, say a prayer or send good thoughts for those in Joplin. They need all the good will that can be spared. 1) What was your favorite thing about the last quilt retreat (or class) you attended? 2) What was your least favorite thing about the last quilt retreat (or class) you attended? If you haven't attended any, please answer what you are interested in for a retreat (or class). And just because, if you are a follower, leave me a second comment letting me know you follow and I'll give you a bonus entry. This is not required, just an extra chance. The chance to enter closes at midnight ET on May 26. I will announce the winner later that day. OH! and before I forget, if you do not have a blog or if you have your security settings set so that your email is not linked off your blog, PLEASE leave me your email so I may reach you if you win. I will reply to every commentor here acknowledging entry so if you don't leave me an email in your comment and you don't get a reply, you may want to check your settings and reach back out. You can leave your email as janesmith (at) iwanttowin (dot) come to avoid auto spammers. Good luck in the drawing and thank you for stopping by. The winner will be drawn using random.org. I attended a class (mystery quilt) in October of last year. I made a 60" quilt for my grandmother. What I liked the most was being able to see others make the same thing with different fabrics. It was so neat to see! What I hated was that some of the instructions were written incorrectly and ended up wasting a lot of fabric because of it! My last class was to learn to use a long arm machine at my LQS. After I took the class, it allowed me to rent the machine by the hour. My favorite things was actually learning to use the machine! My least favorite thing was having to share class/machine time with someone else. IVE NEVER attended a retreat or class. just watched my grandmothers. than kyou for this super generous gift. ! And I've been a follower for some time now. It's your name (Sarcastic Quilter) that drew me in, but it's your wit and your great quilts that keep me here! I've never been to a retreat or a class. But, I would like technique classes, more than project classes. Anyways, I love the quilt you are offering. Thanks for the giveaway. I'm attending a BotM class. My most favorite thing is that it's a small class and we're all beginners. My least favorite thing is it's getting harder for me to attend due to Mr. V working overtime on the weekends. Boo! I think the name "The Sun Still Shines" is a great name and suits the quilt very much. this is a gorgeous quilt! i have not attended a quilting class or retreat, but i am very interested in learning to quilt. there is a quilting shop nearby that i want to check out. i have taken knitting classes, so i'll tell you the general things i liked and didn't like. i liked when the teacher approached me and asked how i was doing. i am a shy person and sometimes it was hard for me to interrupt class with my knitting problems. i liked the one-on-one instruction. i didn't like it when i was in a class where lots of people already knew each other, which led to personal conversations that i felt excluded from and made it difficult for me to get the teacher's attention when i needed help. I didn't know such things as quilt "retreats" existed! That sounds like so much fun! Wouldn't it be so noisy with all those machines going at the same time? I have never done a class but once I designed a quilt with silhouettes of all the g-grandchildren for my husband's grandma. it was beautiful. I think I would like someone to teach me the fool proof way to make it all line up. I haven't attended a quilt retreat or class but would love to attend one that focused on making traditional blocks look contemporary using fabric choice. I'm part of a quilting group and we have a retreat twice a year. The best thing about it is all the laughter, sewing, getting to be creative all weekend (really 4 entire days). The worst thing about it is that we have to leave. Your quilt is lovely! thanks so much for the giveaway! I haven't attended a class, but as a beginner I would be looking for one that can teach basics without being condescending. I have never attended a retreat or class, but I would be interested in learning more about piecing triangles...they have always intimidated me! I did not participate in the QAL for this prize quilt, but I watched them all come together and enjoyed seeing the variety of designs from the same QAL. I like the name you have chosen for this one! I have never attended a quilting retreat or class. I am interested in taking a class sometime to learn more about quilting and to better my quilting/sewing skills. Beautiful quilt! I've been so intimidated to sew a quilt. Thanks for entering my giveaway and for the follow. I love the blogging world and the connections that are made! I love the name for that quilt Becks. It's perfect. I did a 2 day class recently but I've never been on an actual weekend quilting retreat. My favourite thing about the class though was spending time with a good friend who was doing it too. It was great to be exposed to new techniques. My least favourite thing was the speed at which the clas moved along! Way too fast! I learned great things at the last quilt retreat I attended and I got to do it with my mom which was great. I was dissapointed in the instructor who didn't like my color choices. I've never been to a quilt class/retreat, but i sure would love too! I'd love to learn some of the modern paper piecing! Wow, that is beautiful! I have never taken a class, but would love to! It would be great to have a whole day to learn with a group! I attended a retreat in Sept and learned fractured landscapes , I loved our instructor , she is a fabulous teacher and very patient which in this class is a must . The part I least liked was not quite enough time to complete our work . I attended a class over the weekend on paper piecing. I liked learning a new technique but the instructor was disorganized and it took 15 minutes of class time to thread the machine. Finally the third person was successful! Thank goodness. I have been sewing and quilting ever since I was six years old. I never went to a class/retreat and am really quite doubtful that I ever will. It sounds like an informative experience though. I've never attended a quilting class or retreat, but I'd love to someday. that is a fantastic quilt. I have not attended any quilt/sewing classes. I would love to learn something new or get better at a technique that I self-taught!! WOW!!! This is so gorgeous!! I have never taken a class for any of the crafts I do but think a retreat would be great right now...oh wait...maybe I would just like a retreat from my kiddo's for a few hrs and if I got to learn a new skill it would be awesome!lol I'm in the middle of trying to make a rag quilt for my little girl so my lack of lining up corners won't be such a big deal. I have taken a learn how to quilt class that was 8 weeks long. I loved learning new things, seeing how other people put fabric together and the fun. I didn't love the teacher. Not as encouraging as I would like. What a wonderful quilt you made! I love the networking. The creative energy. Its no fun when there is negative feedback and too much criticism. First off, my heart goes out to the tornado victims' families. Secondly, thank you for the opportunity to win this gorgeous piece of art! I love your amended title and would keep it if I won it. Lastly, I have never been to a class of any sort, so can't give you my favs and hates. But, I am very good friends with a wonderful quilting lady and I would love to learn how to quilt. Some day I will. I've never quilted nor attended any class/retreat. Sounds like such a treat. But if I were to attend one, I want my hand held all the way. And I would hate it if I were forced to buy lots of supplies from the class. I'd say a small minimum is acceptable. My favorite thing about the last quilt retreat was we were working on donation quilts to giveaway :) My least favorite thing about our retreat was that it didn't last long enough :) There's always someone out there that needs a quilt! Thank you for the giveaway. I've never attended a quilting class. I think for me to enjoy one, it would have to be quick and easy quilting projects that could be accomplished in a day! :o) Love the quilt and love the name! Thanks forthe chance to win! I've never been to a quilt retreat or class, but as a very new beginner with a couple of quilt kits, I'd really like a basic class if one was around. What a beautiful quilt! I've always wanted one! I have never been to a crafting class or retreat, but would love to. I'm just learning how to sew and would love to learn new techniques! I love the quilt. I have never been to a quilt class or retreat but if I did I would want to learn how to do a small quilt all by hand. I have never attended a retreat because I am not a quilter, but I do love quilts. When I was a little girl it was the hours I spent at Grandmas house watching her make quilts, that caused me to love new fabrics and the sound of a sewing machine. She always made such beautiful quilts and I love having some of them around my house to pass on to my children one day. Your quilt is gorgeous & a really wonderful prize! I have never taken a class. If I did, my favourite part would be the socializing I'm sure! I would love to try out a long arm machine, but in my rural area, there isn't one available. Can't say what my least favourite thing would be, possibly not having anyone in my age group attend. Again, rural area, most of the people quilting around here are much older than me. I'd love to be able to chat with people my age who are interested in quilting. I've never attended a quilt retreat. I would love to learn how to do the actual quilting part! Do you have to have a long arm quilting machine? I've never attended a retreat or class. If I did, I would want a sewing machine provided and good food. A great project and good teacher that keeps me awake. And, a microwave. Thanks for the giveaway. What about this title? "There's Gold in Them There Mountains" because to me it looks like gold hidden under a mountain. My favorite thing about the last quilt class I attended? It was about how to manage my stash. I learned how to cut my scraps into manageable pieces (but unfortunately haven't taken the time to do it yet). My least favorite thing about the last quilt class I attended? I was hoping to make some new friends to get together with and sew, but that didn't happen. My first (and only) quilt class had a terrible teacher. She preferred to let us make mistakes so we could learn from them...the only thing I learned was that I was very good at repeating the same mistake again and again. I could have done that at home! Prayers and shared grief. What devastation! How frightening! I've never attended any classes. I'm a relative beginner at this quilting stuff. I would like to learn free motion quilting. I'd also like to learn some basics about working with curves and points. Beginner stuff mostly. I could use some confidence building. I'm a follower. What a lovely giveaway. Very generous! What a beautiful quilt, I'd love a chance to win. I'm not a quilter but would love to learn sometime, so I guess the perfect class/retreat for me would be one for absolute beginners! This quilt reminds me of majestic Oregon mountains with green forests and brilliant sunshine and clear blue skies. I would call it the Majestic Oregon Quilt! I have never attended a quilt retreat or class but would love to one day. I would particularly like to learn how to match up corners perfectly. so much time to create! I have never attended a class or retreat. But would love for machin quilting and learning new quilt skills! I will follow you now! Looking forward to read more! I have never attended a class/retreat. I am very new to this art. I would say that I would love a welcoming environment with limited pressure. I want to walk in eager to learn and walk out feeling amazed/inspired and not defeated. Never have attended a class, one day! Once the kids are able to fend a little for themselves. I attended a class on making a quilted purse. My favorite thing was learning some new techniques and my least favorite thing was I did not care for the pattern they used. I have never been to a class or retreat, but I would love to go! I really would like to learn how to paper piece! I've never been to a retreat, but I'd love to, so I could learn a lot and get lots done too! I have never been to a quilt class, but would love to go to one. I really need help with binding. The quilt is beautiful, and I like the name you've given it! I haven't taken a class (yet)! I'd be interested in one for someone familiar with sewing but not with quilting. Thanks for the chance to win your beautiful giveaway! I have never attended any classes…I just follow online tutorials! If I did got to a class, I might like to learn about quilting techniques. I've never attended a retreat - I have six kids 13 and under so I can't get away that often - I quilt in 10 minute "spurts' here and there! But I've learned so much from blog-ville - it's my personal "retreat"! I absolutely LOVE this quilt, but I can't answer your questions because I've never been to a quilt retreat or class! I have never attended a quilting class, but I would love to get with other quilters to hear and see all of their good ideas! Your quilt is beautiful! I am a follower of your blog. I am always looking for inspiration! I think I found some here! Thanks for the chance to win your wonderful quilt! I have never attended a class or retreat for any of the crafts I do, preferring instead to read books and blogs about what I wish to learn. I'm always interesting in new color-combining techniques and ideas, though. Your quilt is lovely. Thank you for the giveaway. I've never attended a quilting retreat as I don't quilt! Which would make receiving your quilt all the more special to me. I'm a knitter and otherwise crafty, though, so I'll say that in looking for a retreat, I think a good environment is important, as well as getting the chance to work with great teachers! Oh, And I'm following you in my feed reader! I've never attended a class. I'm afraid of starting to quilt because I hear it's addicting! I am hoping to do a beginners class sometime though. I actually literally live 3 doors down from a great little quilt store and class studio that I pop into when I want fantastic fabric. I plan to take a class there sometime. I've actually never attended a quilt class or retreat, but I did just get back from a scrapbooking retreat, and what I loved about it was the extended time to work on my stuff, but what I didn't like was the fact that we were in beautiful mountains and we never went anywhere. A little outing, even one to the local starbucks, would have been nice! I have never attended a retreat, I would love to but there are none near me and I don't have the funds to travel a long distance. 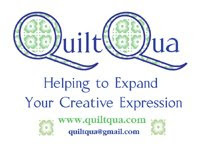 I am also dissappointed in the couple of local quilt shops in my area, they are not the friendly type at all and to get any help is like pulling teeth, they just want the money and they are expensive. I have had so much better luck with shops online and I learn from the internet, books, and trial and error. I'm not a quilter - more of a sewer. Your quilt is beautiful. Prayers are sent to Joplin. I've never attended a retreat. But I would hope to learn new techniques and see what inspires others. PS:I'm in Oklahoma and we are have bad weather today. Please pray for those in Oklahoma too. I've never been to a class, but would love to take anything really. What I would love is to find an actual group to be a part of. First and foremost, I can't believe you generosity. As a quilter I know what's involved in cost and time, so thank you! I really enjoyed seeing other quilter's work. My least favorite was a class where the teacher figured I didn't need instruction, so she basically focused on everyone else. If I needed anything she would say that I didn't need her help. I basically paid to sit in a class and sew on my own. Ive never attended a quilting retreat, have mostly taught myself through books, the internet and trial and error. I would love to have an environment to learn from more experienced quilters, most definitely!! My favorite thing about the quilt classes I have attended is the one on one instruction and being able to see things in person rather than just pictures. The thing I didn't like was how quickly it had to move to fit it in a class I really felt rushed. That is a beautiful quilt! I have never attended a quilt class. I love to sew but I have always been scared of trying a quilt. So I probably should go to a quilt class. The closest I have come to doing a quilting retreat would be doing a block of the month club at a quilting store in my area. I really loved getting to know some of the people there. The part I didn't like was that there were a lot of people I never really got to meet and get to know. I've never attended a retreat or class. Quilting seems really difficult. Thanks for the giveaway! I have never attended a retreat for quilting, but I am an avid quilt admirer! This is a beautiful gift! The last quilt class I went to was my first and it was perfect, it was all about the basics. The best part of attending a retreat or workshop is the people that you meet or share the time with during the retreat. I have attended workshops with the same group of women for the past 15 years. They have become friends that have shared my life journey. The friendship and laughter is a big part of the time spent at the retreat. We always have good food too! Thanks for the chance to win such a lovely quilt. I haven't attended any classes, I'm a self-taught quilter but really I'm a tutorial-&-quilting-blog-taught quilter. Love your quilt & thanks for the giveaway. I've never heard of a quilt retreat before, so I'd be fascinated to know what one's like! I have never been to a quilting retreat, but if I were to go to one I would hope you could leave your things in the room overnight. Nice room and good food. Thanks. My last class was with Di wells - a fantastic teacher! The worst thing was it was only 1 day!! i would love a quilt retreat, it would give me time to get some work done and see what other quilters do! I haven't attended an official class, other than 25 years of the class of mom - I can tell you I totally appreciate technique oriented classes that allow me to still freely explore/create. I love your quilt. It is so beautiful. I have never been to a quilt class. I do lots of other creative things but not quilting. I am a new follower. Yay! I started to attend a sewing and knitting class and it is wonderful, I am one of the youngest and the lady I really clicked with is old enough to be my great-grandmother. I love it!! Wow, gorgeous quilt! Thank you for the giveaway opportunity. I'm new to sewing, so quilting is on "the list" eventually! I prayed when I saw it right away. My dad lives close by. Beautiful quilt! SQ note: I am entering this comment for someone Blogger seems intent on keeping out of the chance to win here. I have never taken a class or been to a retreat. I would love to go to a retreat.Wow, what would I want. well, mostly not to feel like everyone knew more than I did.LOL.so maybe I would like to go to a beginners retreat. Sadly, I've never been to a quilting class ro retreat. Everything (though little) that I know about quilting has been learned from books, online, tv shows, and looking at completed quilts. Maybe some day I'll be able to go to a retreat and actually learn proper quilting techniques! I've never taken a class, but I want to. I am looking for one that is not intimidating and has a finished product that seems doable and usable. Love your name for the quilt. Since I am from Alabama and had family in the affected area of that state it seems appropriate for many. I've never been to a retreat or had a class, but I would love some help on choosing fabrics that work together and it would be awesome to finish a top in a weekend like that. Thanks for the chance to win your beautiful quilt. I've never attended a quilting retreat, I'm more of a meditation retreat girl. I would say a good one would just be hands on, somewhat challenging but relaxing as well...you don't want to stress them too much on retreat! I've never attended a quilting class, but I'd love to take one on cutting and sewing curves. I'm a beginner and so far have only done straight lines in my quilts. Lovely giveaway>Never attended any class but if we have them here first I be checking the price and what sort of things I can learn. I've never been on a quilt retreat or taken a class. I'm just starting to dabble in quilting myself and learn what I can from tutorials online. I think your name is fitting. It's a beautiful quilt. My favorite part of the last quilt retreat I went to were the games. My least favorite thing was there was not enough table space and not enough ironing/cutting stations set up. Thanks for offering such a great giveaway. It is absolutely gorgeous! I am a new follower of your blog and am looking forward to it! I am devastated for the residents of Joplin and naturally will continue to pray for them.Dont get too discouraged if you dont lose weight all the time, I find that happens to me too, just keep a cool head and dont let it get to you. I think the body needs time to catch up, it wants to compensate by slowing down the metabolism and if you dont deny too much too quickly you can coax it back into losing again. Now for the giveaway, I love your quilt and am amazed you would like to share it, that is so generous. I have only taken a class through a dvd does that count? I learn so much through observation, I wouldnt be able to quilt without visual instruction and encouragement. Thanks for asking and keep up the weight battle, I'll remember to pray for you on that because I'm doing the same thing. I'm thrilled to join your blog followers too. Your quilt is superb...such a joyful scene and truly looks like a sun peeping over a glorious mountain. I've never made a quilt, but it is something I'd love to do-I'd need a patient friend or instructor! I have never been to a retreat, but I would like a beginners (the basics). I am new to quilting, so not really sure what I can say about a quilt retreat. :) Thank you! What I liked best about the last class I attended was hearing the teacher answer other people's questions that I hadn't thought of. What I didn't like was how crowded the class was! What a beautiful offering! I couldn't begin to tell you what I would want in a class, as I'm still in the napkins stage of my sewing career. I guess lots of one on one attention! I have never attended a quilt retreat. I'd love to go to have time to see techniques demonstrated and to concentrate on a project--it's hard to do that when you have a house and family to care for. :) The quilt is beautiful--yellow, green, and blue is one of my favorite color combinations. Thank you for the giveaway! I would love to enter. I would like a class. I love that quilt! I am thinking it might have a good home on my son's bed. He enjoys bright colors and contrasts. The last quilting class I went to was awful, the lady barely knew what she was doing. I didnt come back for the other classes. It sadly put me off quilting classes. I took a garment sewing mini retreat and that was a blast! I enjoyed chit chatting with other ladies over sewing machine. I am a SAHM so I rarely talk to anyone that isnt in a diaper! Haven't take a quilting class in over 20 years so I can't say I remember the last one to even comment, but I would love one on Free Motion Quilting. I have always hand quilted but am trying to learn FMQ. Thanks for the chance to win this wonderful quilt! Just became a follower so I can catch up with you often! Thank you for the opportunity to win something so wonderful!! Very pretty quilt. I only went on one quilt retreat. I loved the camaraderie. What I didn't like was that it was so expensive I couldn't afford to do it very often. I haven't attended one, but I'd love to get new pattern ideas and techniques from one! I haven't attended a retreat. Being a deaf quilter, it's really tough to not sew through my finger while trying to read lips. I attended several quilds and workshops, working on quilts for charity, but it was too exhausting to do the lip reading/decoding and sewing. So following quilting blogs is my retreat. I can always hear every word, and I can always be heard. I never feel as though I am in a room alone :) I am trying to get the word out to those posting video tutorials on their blogs to take the time to close captioned them. It really makes a difference and there are more of us out there that I think people may realize. I follow blogs(my retreats) that are basic, (for review), intermediate (to learn in the present) and advanced (to be motivated and inspired). It's like tennis. You need to play with someone on the court every once in a while who is better than you, or you'll never get that overhead lob :) Great question. I'm interested to see what retreats are popular! I am a follower. Thank you for participating in this mammoth giveaway blog hop! Favorite thing about the last class I attended was the friendliness of the other quilters - its funner meeting new folks with common interests. The least favorite thing is running out of steam with the irons! Thanks! I've never been on a retreat but want to go on one so bad. just haven't found one yet. thanks for the awesome giveaway. Well I have never been able to attend a class cos i have a special needs kiddo at home and the one quilt shop sort of near us only does them weekday mornings when my hubby is at work and can't watch my little guy. I like quilting tv shows and youtube videos for learning new techniques, but use books mostly.